Pick a curated box or start adding any of the 1000’s of items from our catalogue and deals page to your basket. Once you’ve decided on your order, add your information and complete your sign up. You can skip, pause or cancel at any time! 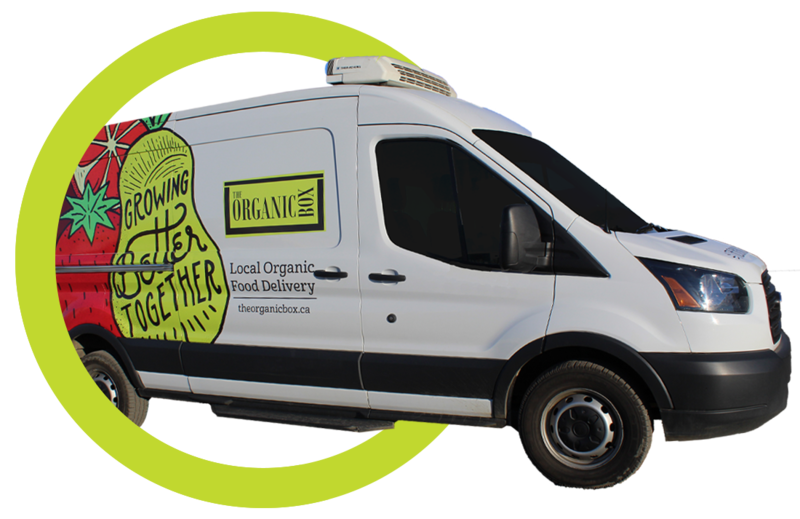 We connect with our community of local farmers and producers to fill your order! Once your order is submitted, we pack your box, and deliver it to your home or work, or make it available for pick-up. 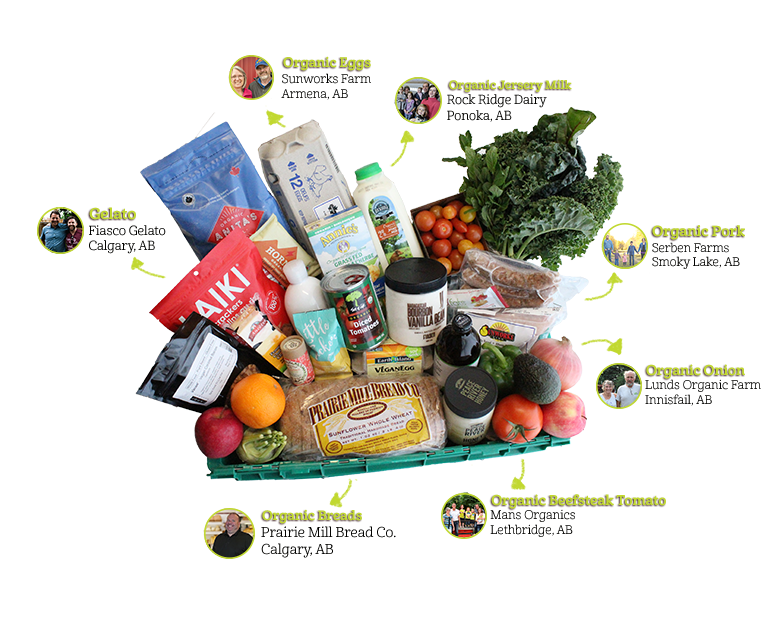 The Organic Box has everything you need to fill your fridge, pantry & tummy! From grass-fed and organic meats, to organic dairy, to locally made bakery goods, and pantry items! Your order is ready to be delivered after your order is submitted at the cut off time and packed. You can skip, pause, or cancel at anytime! Check out our Where We Deliver page to see when we will be in your area for deliveries. Your satisfaction is 100% guaranteed at The Organic Box. If you receive an item that is not up to your standards, please let us know by using the rate my box feature, calling us, or messaging us through the website chat bubble.